It's 1980. An taxi driver has to take a German journalist from Seoul to Gwangju. 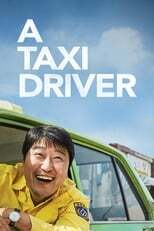 A Taxi Driver is directed by Hun Jang and was released on Aug 11th, 2017. Director Hun Jang's Drama & History movie A Taxi Driver is produced by Showbox & The LAMP & was released 2017-08-02.